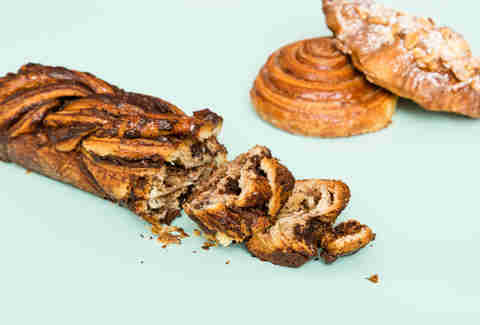 Thanks to a bona fide pastry boom -- spurred in part by Dominique Ansel’s line-inducing Cronut, plus countless other revolutionaries doing chocolate babka, car wash donuts, and cream-filled cookies -- more and more chefs are setting up shop in Manhattan, turning out all things sugary, flaky, buttery, and creamy. 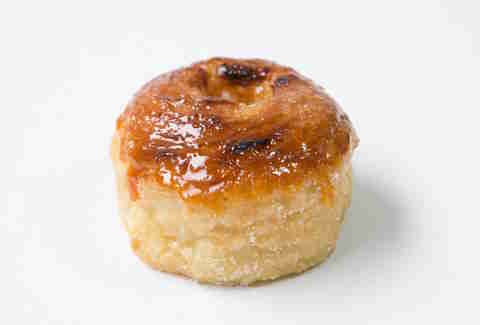 But the renewed fervor for baked goods is also shining a spotlight on older, more established bakeries and bakers -- Chinatown’s 30-plus-year-old sponge cake purveyor, New Kam Hing, for example, or breadmaster Jim Lahey, who opened the first Sullivan Street Bakery in 1994. Even better, you probably don’t have to leave your ‘hood to get ahold of a great croissant or tart. These are the best bakeries in 23 different Manhattan neighborhoods. 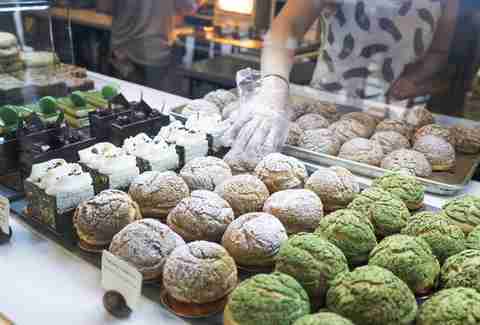 Chef Zohar Zohar’s quaint bake shop pays tribute to a variety of international treats modeled after old family recipes, from bite-sized Argentinian alfajores (dulce de leche cookies) to Israeli shoshanim (chocolate sticky bun “roses”). The mismatched furniture and wooden pastry cases give the space a charming, homey vibe, but Zohar’s pedigree -- she worked at Daniel and Bouley before turning to baking full-time -- guarantees that each cookie and bun is produced with fine-dining skill. Francois Payard is more than just a macaron master (though you shouldn’t ignore his chewy French cookies, especially when they get turned into ice cream sandwiches in the summer) -- the third-generation pastry guru also knows his way around all sorts of fancy cakes, tarts, and truffles, which you can get at his eponymous shop near the Hudson River. This Bryant Park cake boutique got its start 12 years ago when founder Ken Romaniszyn set out to open a pastry shop that fused Asian flavors (Romaniszyn is half-Japanese) with classic French technique. 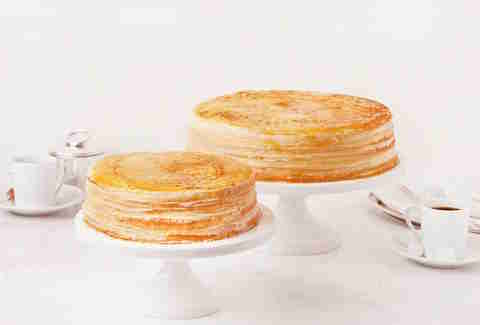 From there, Lady M’s now-iconic mille crêpes cake was born, a cloud-like confection that layers 20-plus paper-thin rounds with airy whipped cream. Flavors range from classic vanilla to green tea to seasonal offerings like passion fruit, all of which are -- in true Japanese tradition -- subtly sweet. 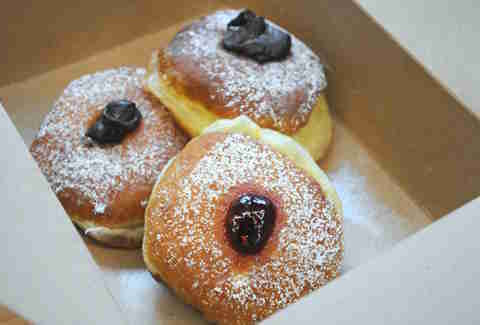 Famed breadmaker Jim Lahey isn’t just a pro when it comes to rolls and loaves -- his bakery also sells pizza served crispy and by-the-slice, with toppings like shredded potato or cauliflower, as well as pillowy, nearly greaseless bomboloni: Italian donuts filled with tart jam, chocolate or, the true standout, lemon-scented vanilla cream. 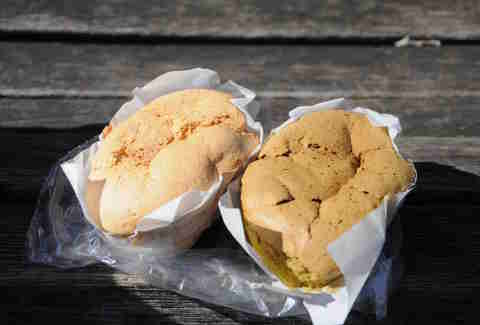 Chinatown has no shortage of bakeries, but only one consistently cranks out eggy, airy sponge cakes for just 75 cents. Though New Kam Hing has started to play with trendy flavors like matcha and pumpkin spice, none match up to the angel food-like original. There’s no doubt that chef Thomas Keller can do French food. But his take on American classics is the surprise hit at Bouchon. Alongside traditional Francophile favorites (like macarons and croissants), you’ll find the elegant homemade TKO (short for Thomas Keller’s Oreo): scallop-edged dark chocolate cookies filled with white chocolate cream. Keller’s also got his own take on Hostess’ Ho Hos -- a chocolate roll cake with a crackly chocolate shell, and a twist on Nutter Butters -- two peanut-studded discs held together by peanut butter-infused cream. A more casual spin-off of chef Chika Tillman’s dessert bar -- known for upscale, plated sweets like the signature Fromage Blanc Island "Cheese Cake" -- this pint-sized shop specializes in homey yet innovative sweets like the Dough'Ssant (a take on the donut-croissant hybrid), a wonderful s’mores cupcake, and soft serve that you can now get in sugar-dusted churro cones. 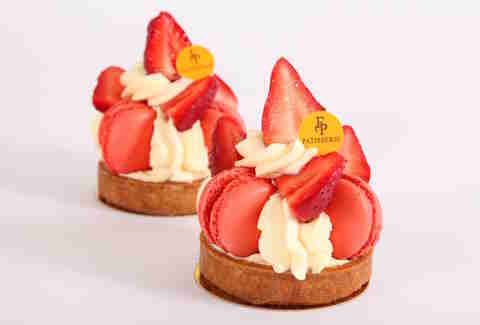 It was only a matter of time before renowned French baker Eric Kayser’s rapidly expanding empire made its way to New York, bringing with it crusty baguettes, eclairs, and croissants. The loaves served at Kayser’s New York City locations (there are 10 and counting) are a true French-American lovechild -- the organic flour comes from upstate New York, but the high-quality butter hails from France. Aliyyah Baylor proudly carries on her family's baking tradition at this Uptown cafe. 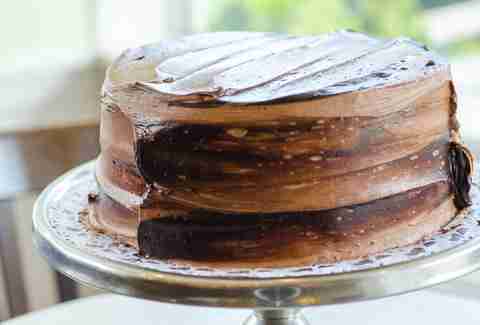 Featuring recipes passed on from Baylor's grandmother, Josephine "Ma" Smith, Make My Cake does Southern bakery classics like an intensely chocolate-y red velvet cheesecake imbued with sweet potato, and a German chocolate cake that triumphed over Bobby Flay's in an episode of Throwdown. You don’t need to own a car to visit the West Side Highway Carwash -- just an appetite for all things fried and glazed. 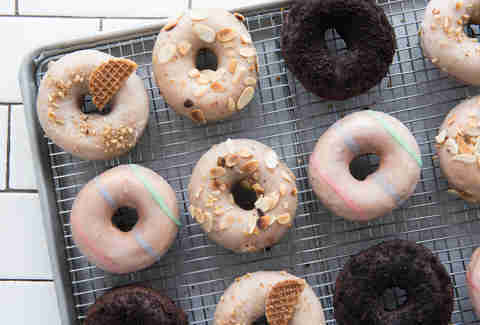 Nestled inside a narrow passageway adjacent to the scrubbing machines, you’ll find former Chanterelle sous chef Scott Levine’s cake-donut operation, where an automatic donut robot churns out incredibly tender rounds dipped in glazes like brown butter, passion fruit, and jasmine green tea. As if breadmaking wasn’t already a difficult skill to master, Francois Brunet has taken it to a whole new level of artistry. The Parisian bread maker joined the Boulud family in 2014 after working for another French powerhouse, Joël Robuchon, in Las Vegas, and has made his mark on the New York City pastry scene with crusty baguettes, tangy sourdough loaves, and a flaky raspberry-chocolate croissant that requires three full days of prep. If the smell of fresh-baked goods doesn’t draw you through the door of Petee Paredez’s namesake bakery, the promise of the best damn pies in town should. There’s a little something for everyone here -- from salty chocolate chess, to wild blueberry, to a luscious coconut cream -- all made with local, organic ingredients and built on all-butter crusts. Since opening at the end of 2015, the Philly spin-off has been both a critical and Instagram darling thanks to its piled-high breakfast sandwiches and baked goods. Chefs Alex Bois and Sam Kincaid lead the bread and pastry teams, respectively, and have developed plenty of new items for the NYC outpost (crepe cake, loaves using local grains) to go with older favorites (red eye danish, molasses, and corn miche). It may not be the hottest ticket in town, but there’s still a perpetual line snaking out of this charming Theater District cafe. The creative latte art (think winking alpacas) and cream puffs may be Insta-famous, but there are other stars in the pastry case, too, including the Earl Grey banana bread and brûléed egg tarts. 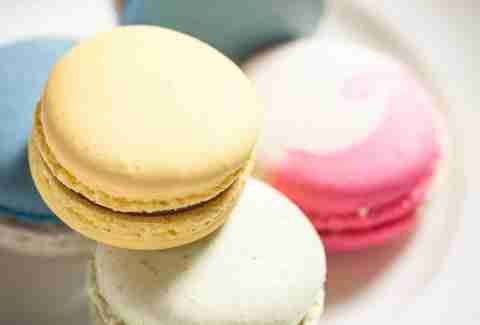 At NoHo’s French brasserie/bakery Lafayette, pastry maven Jennifer Yee imbues traditional French offerings with a touch of whimsy, resulting in birthday-cake macarons, butterscotch coffee eclairs, and other fanciful sweets. When warmer weather rolls around, don’t miss her grown-up push-pops, one of which is packed with the aforementioned macarons. Stepping into this cheery corner bakery is a little like walking into the ones of your childhood dreams. 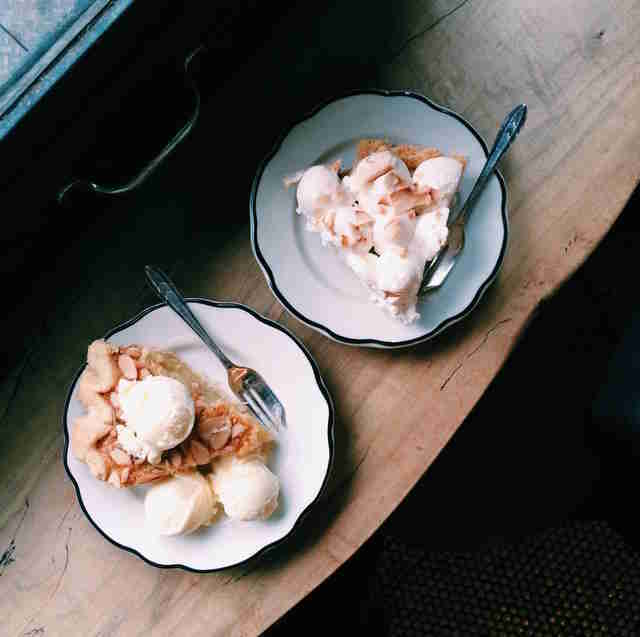 Retro chalkboard menus and black-and-white tiled flooring match the extensive list of all-American desserts, ranging from pies to brownies to a triple-layer Brooklyn Blackout Cake that’s about as decadent as chocolate cakes get. 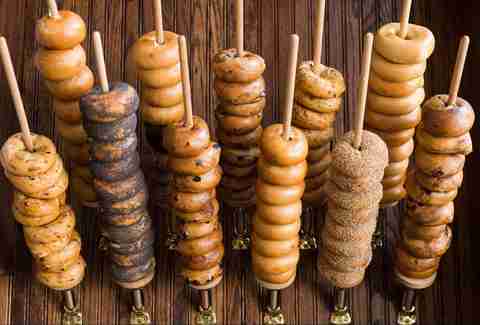 You may not expect a bagel and lox place to make it onto a best bakeries list, but Melissa Weller’s chewy rounds are truly exceptional. The former Per Se baker has obsessively tweaked her recipe, first slinging the burnished, almost crunchy bagels at Smorgasburg before teaming up with Major Food Group (Carbone, Parm, etc.) to open this modern appetizing store. Like MFG’s other restaurants, Sadelle’s takes the concept up a notch, with smoked fish and schmear served on grand towers usually reserved for seafood. 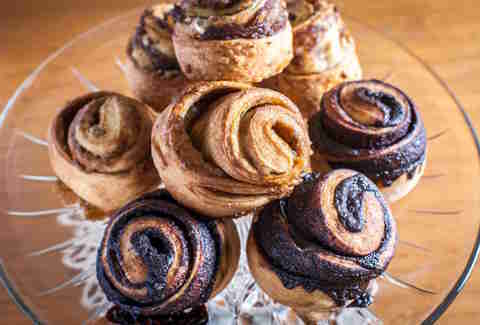 Weller, a 2016 James Beard award nominee, is equally skilled at the sweet stuff, notably the chocolate-dipped babka and sea salt-sprinkled sticky buns. 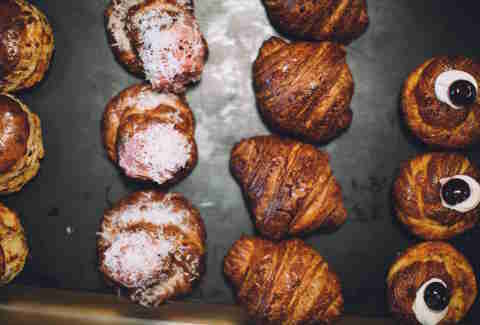 A nondescript office building in TriBeCa houses one of the city’s worst-kept secrets: a bakery that excels in everything it touches, from classic French viennoiserie, to Jewish babka, to individually sized pizzas available only at lunch. Oh, and it’s only open on weekdays, so you’d better get those out-of-work excuses ready. 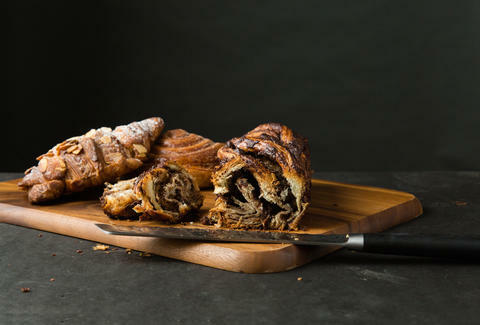 We all have Breads to thank for kickstarting New York City’s babka resurgence. Led by Israeli-born, Danish-trained baker Uri Scheft, the Breads team introduced us to the famed loaf in 2013, breathing new life into the Jewish deli staple by opting for laminated dough (traditionally used for croissants) studded with both dark chocolate chips and Nutella. Each braided babka is finished with a brush of simple syrup to help form a crackly crust that adds extra texture and traps in moisture. Breads isn’t just a one-trick pony, though -- other winners include the rugelach, as well as the buttery, flaky cretzel (yes, that’s croissant plus pretzel). The UES’s Two Little Red Hens is the place for made-from-scratch American desserts that you can eat at a leisurely pace. No crazy lines or over-the-top hybrids here -- just dependably delicious cupcakes, pies, and one creamy graham cracker-crusted cheesecake. You’re more likely to see regulars sipping coffee and reading newspapers in the brick-lined shop than MacBook-toting freelancers -- a true rarity in New York City. 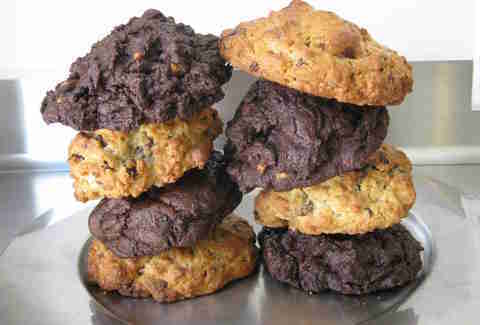 Should you finish one of the hefty, hockey puck-sized cookies from Levain by yourself? Probably not. Have we been guilty of doing exactly that? Absolutely. That’s because when it comes to these gooey, chocolate chip- and walnut-studded treats, self-control does not exist. 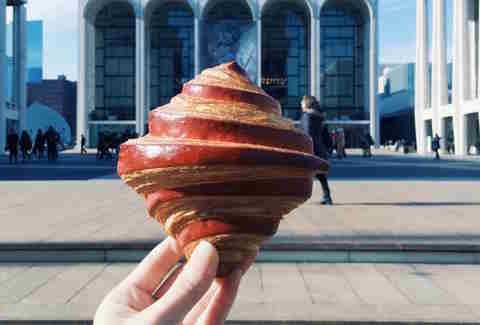 The almighty Cronut creator followed up his mash-up pastry heard ‘round the world with another novel concept: made-to-order desserts. 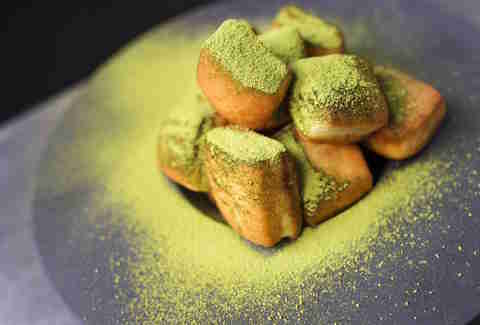 Matcha-dusted beignets are fried fresh, chocolate mousse is folded by the order, and lemon tart filling coaxed into custard form à la minute. By night, the production kitchen transforms into U.P., an intimate multicourse tasting where Ansel -- with help from executive pastry chef Karys Logue -- returns to his fine-dining roots. Patty Lee is a reporter and editor who has written for Zagat, Time Out New York, New York Daily News, and Cooking Channel. She has yet to meet a donut she didn’t like. Follow her on Twitter and Instagram.